The possibilities of achieving an ultramodern look are greatly enhanced with our engineered stone products. The colors are consistent and uniform. 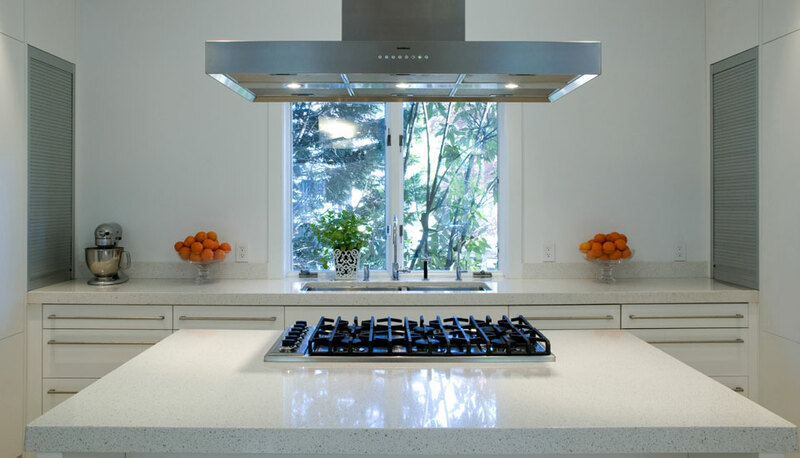 Below is kitchen using Caesarstone’s White Snow Storm. Granite Countertop Warehouse has the technology and machinery to shape your countertops to the exact specification and our design consultants can help you match the colors that will complement your existing decor or your vision.